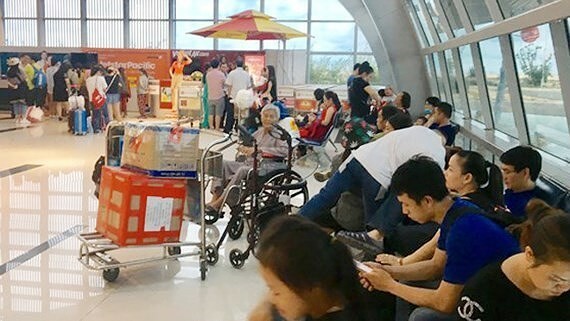 Carriers have already cancelled flights and amended flight plans on local routes on July 18 because of the influence of tropical typhoon Son Tinh that is forecast to make landfall in coastal localities from Thai Binh to Ha Tinh on late July 18. Carriers have cancelled many flights on local routes because of the influence of tropical typhoon Son Tinh. 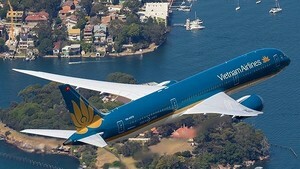 The national flag carrier Vietnam Airlines (VNA) has announced that it has adjusted flight schedules early. Accordingly, 6 flights on July 18, connecting Hanoi/ HCM City and Vinh have been rescheduled to avoid severe storm. Meanwhile budget airline Jetstar Pacific is canceling 4 flights from and to Vinh in Nghe An province and Tho Xuan Airport in Thanh Hoa province, including BL528/BL529 on HCMC-Vinh route, BL 490/491 linking HCMC and Thanh Hoa. The low-cost carrier Vietjet Air also stopped exploiting flights, consisting of VJ218/VJ219/VJ224/VJ225 on HCMC-Vinh-HCMC route on July 18. Passengers can access carriers websites, or contact the ticket offices of airlines throughout the country for further information.